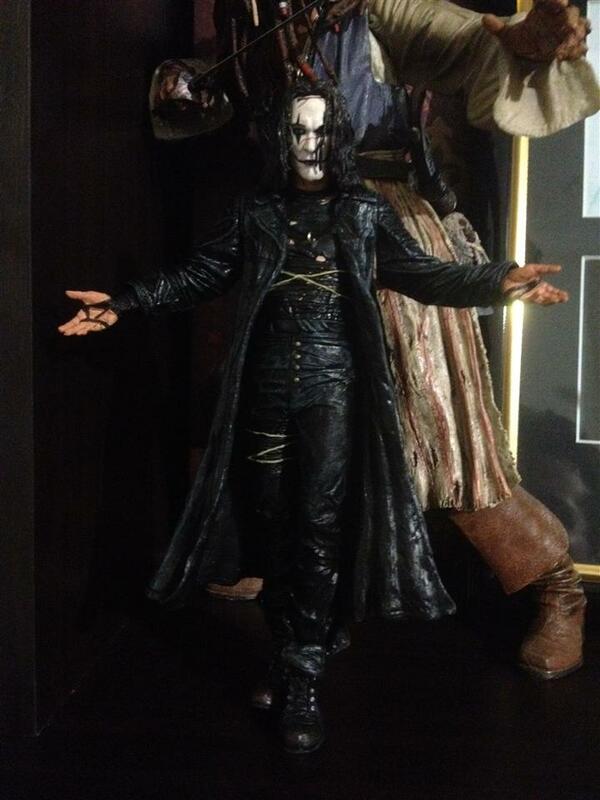 NECA The Crow collected in Figure Collection by Tayler Rowe - Collected It! This beyond the grave revenge seeker is a seriously crazy figure to add to your collection. The character is a personal favorite of mine, as I'm a huge fan of not only the original movie, but the graphic novel as well. Brandon Lee, the son of infamous martial artist Bruce Lee, looks absolutely stunning recreated into this figure, the menacing facial expression of The Crow is looking straight into you soul. It was very unfortunate that when this arrived in the mail the small bird accessory was damaged and i was unable to attach it to his shoulder, but it still looks superb. Some of the paint work is a little strange in certain places, such as the stomach, but the overall dark feel of the figure over compensates for that. Sweet buy.